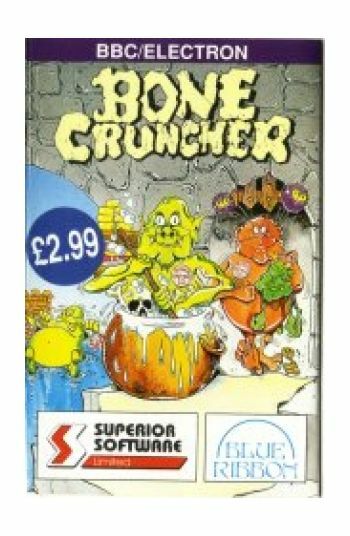 In BONE CRUNCHER you are Bono, a dragon resideing in a sea-castle. 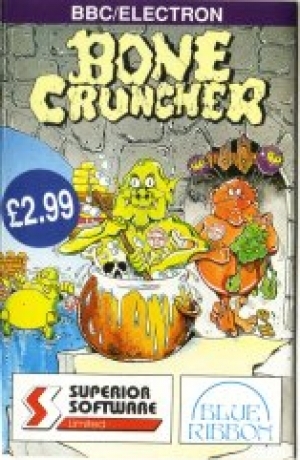 Keen on 'nice little earners' you make your living selling soap to the minsters who surround the castle. You produce the soap by collecting skeletons and then boiling the bones in a cauldron. However the castle caverns are fraught with danger: monters will kill you, spiders will eat you and glooks with block your path. A soap opera not to be missed. BBC cassette.